Infosys CEO managing director, Dr. Vishal Sikka, has resigned from his dual roles amid reports of a growing a rift among the company’s founders, board and management. Infosys is India’s second-largest IT services company, and has a global presence, including in Australia and New Zealand. According to Reuters, Sikka’s departure, which sees him step into the role of executive vice chairman, comes after a “war of words” between Infosys and its founders, and a number of former executives, who have been unhappy with certain decisions made by the board. The disquiet between Sikka and the company's founders reportedly started in February, after former chairman, Narayana Murthy, made allegations of lapses in corporate governance. Adding fuel to the fire, the Times of India reported in February that a letter by a purported whistleblower alleged that former CFO, Rajiv Bansal, was paid a “massive” severance in exchange for silence on accounting practices and an acquisition. Now, the company has told shareholders that it has accepted the notice of resignation of Sikka, effective immediately. Sikka will receive an annual salary of US$1 during his tenure as executive vice chairman. U. B. Pravin Rao has been appointed as interim CEO and managing director, reporting to Sikka under the overall supervision and control of the company’s board. 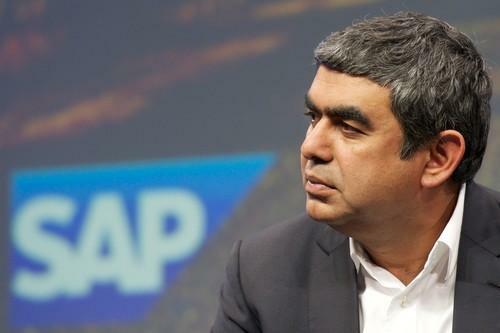 Sikka, who stepped into the leadership role at Infosys in 2014 after several years as SAP's CTO, will hold his new office until the new permanent CEO and managing director takes charge, which should be no later than March 31, 2018. In his notice of resignation to the board, according to Infosys, Sikka reiterated his belief in the potential of Infosys, but cited among his reasons for leaving a “continuous stream of distractions and disruptions over the recent months and quarters, increasingly personal and negative as of late, as preventing management's ability to accelerate the company's transformation”. “The board understands and acknowledges Dr. Sikka’s reasons for resignation, and regrets his decision,” the company said in a statement. “In particular, the board is profoundly distressed by the unfounded personal attacks on the members of our management team that were made in the anonymous letters and have surfaced in recent months. “As the board has previously stated, a series of careful investigations found no merit to the unsubstantiated and anonymous allegations that had been asserted. The board denounces the critics who have amplified and sought to further promote demonstrably false allegations which have harmed employee morale and contributed to the loss of the company’s valued CEO,” it said. Can new Infosys chief executive heal the hurt?